Alden Richards first ever song, a revival of Shamrock's hit song "Haplos" is now the top-selling digital single in My Music Store. You can still download the song HERE. Daniel Padilla's newest album called "DJP" is available nationwide starting today. 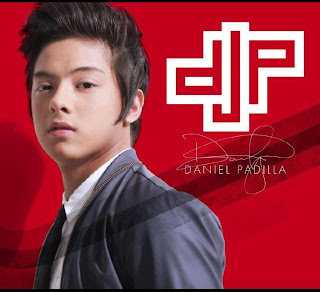 Released by Star Records, DJP already reached a "Platinum" status with more than 20,000 copies sold in less than 24 hours after its released in Mega Manila on Tuesday. April 16. Barbie Forteza has released her first single "Meron Ba" under her self-titled debut album under MCA Music (Universal Music Philippines). "Meron Ba," composed by Freddie Saturno, is originally recorded and released by Kapamilya actress Nikki Valdez.